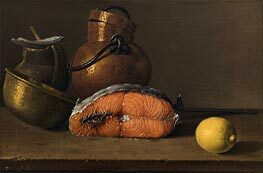 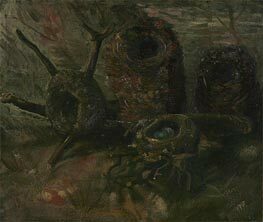 Still life is a work of art which represents a subject composed of inanimate objects. 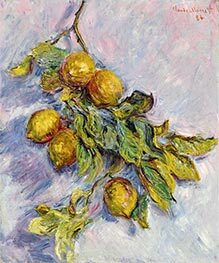 Popular in Western art since the 17th century, still life paintings, such as of flowers or fruit, give the artist more leeway in the arrangement of design elements within a composition than do paintings of other types of subjects such as landscape or portraiture. 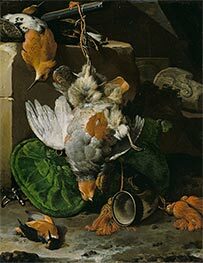 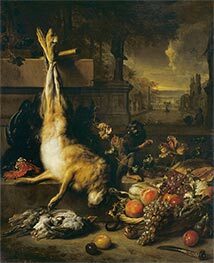 With the rise of the European Academies, most notably the Academie francaise which held a central role in Academic art, and their formalized approach to artistic training, still life began to fall from favor. 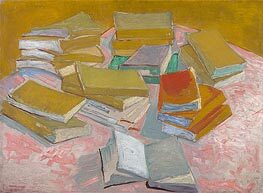 The Academies taught the doctrine of "Hierarchy of genres" (or "Hierarchy of Subject Matter"), which held that a painting's artistic merit was based primarily on its subject. 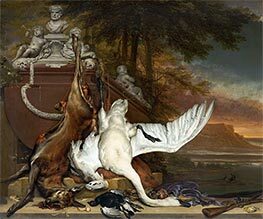 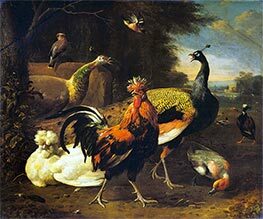 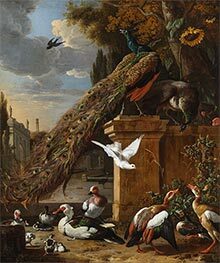 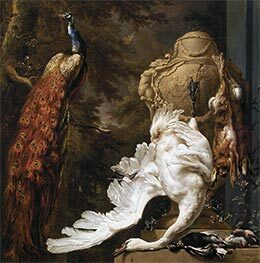 In the Academic system, the highest form of painting consisted of images of historical, Biblical or mythological significance, with still life subjects relegated to the very lowest order of artistic recognition. 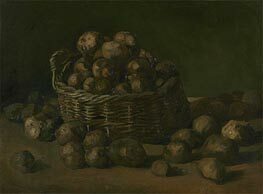 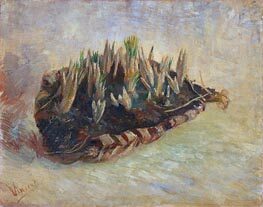 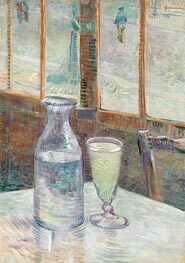 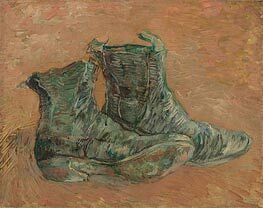 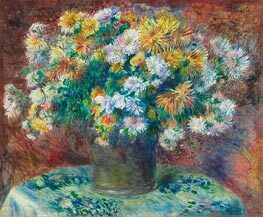 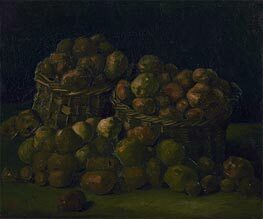 It was not until the decline of the Academic hierarchy in Europe, and the rise of the Impressionist and Post-Impressionist painters, who emphasized technique and design over subject matter, that still life was once again avidly practiced by artists. 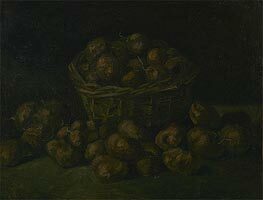 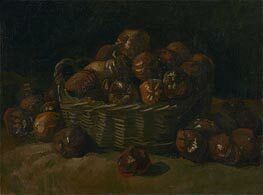 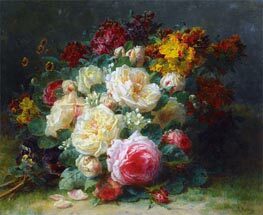 Henri Fantin-Latour is known almost exclusively for his still lifes. 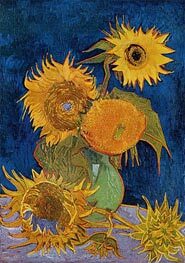 Vincent van Gogh's "Sunflowers" are some of the best known 19th century still life paintings, and Paul Cezanne found in still life the perfect vehicle for his revolutionary explorations in geometric spatial organization. 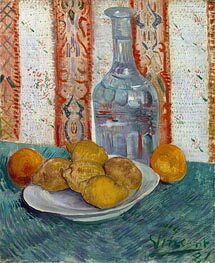 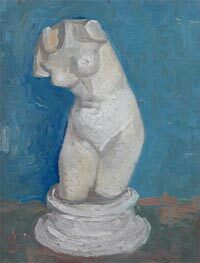 Indeed, Cezanne's experiments can be seen as leading directly to the development of Cubist still life in the early 20th century. 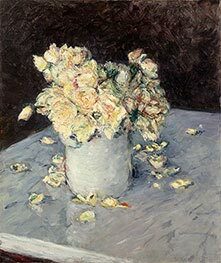 Between 1910 and 1920, Cubist artists like Pablo Picasso, Georges Braque, and Juan Gris painted many still life compositions, often including musical instruments, as well as creating the first Synthetic Cubist collage works, such as Picasso's "Still Life with Chair Caning" (1912).